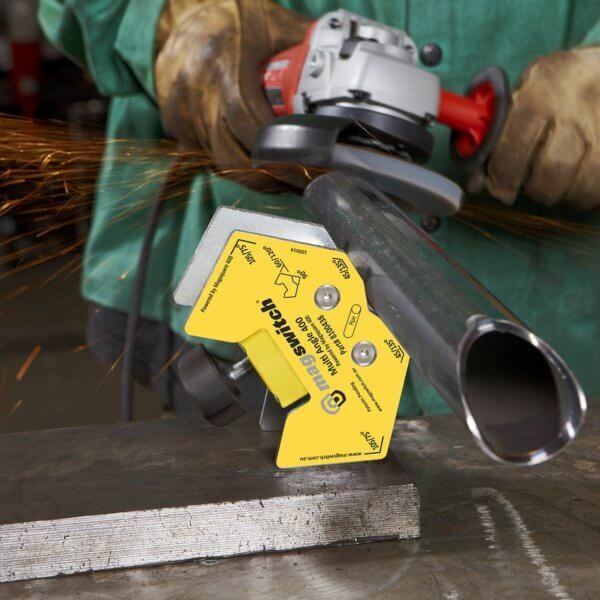 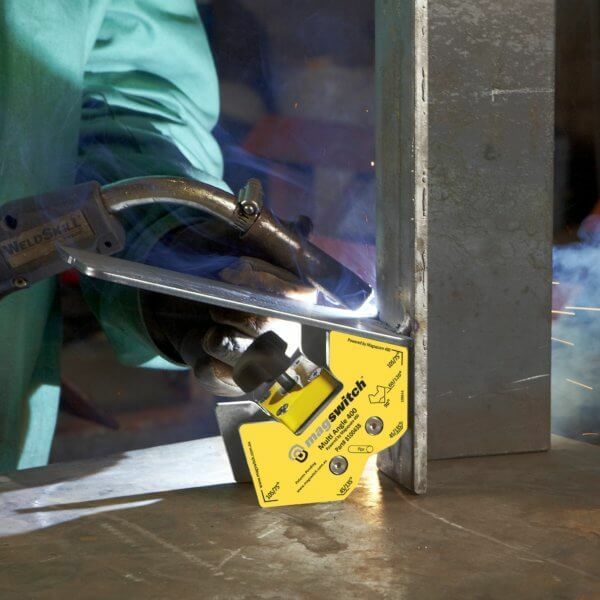 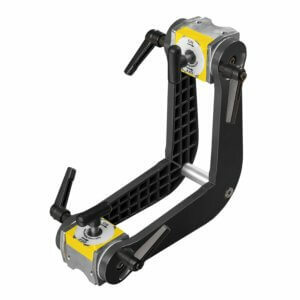 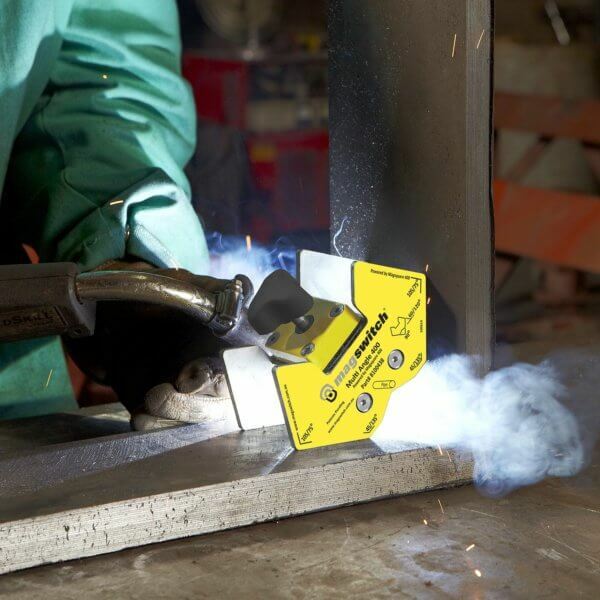 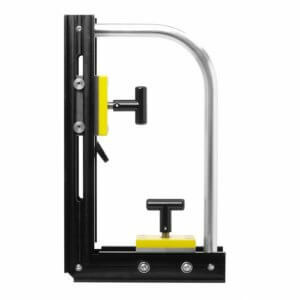 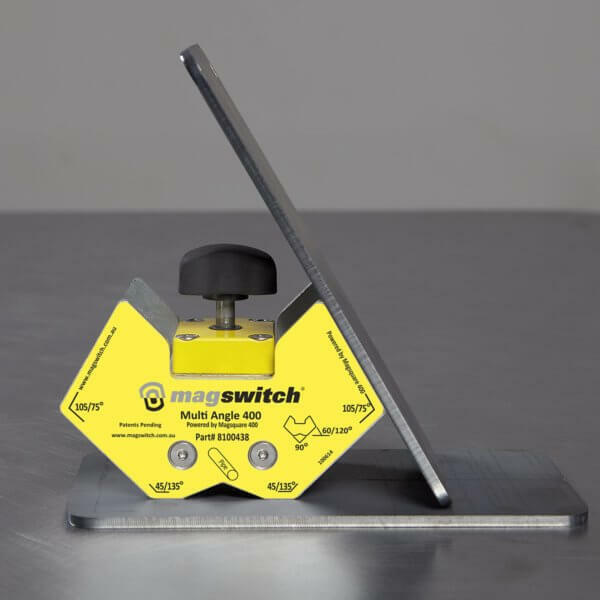 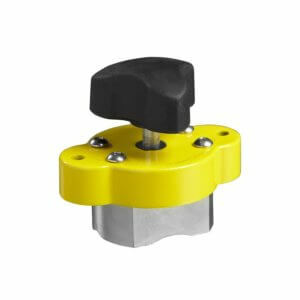 is an On/Off magnetic workholding tool powered by a Magswitch Magsquare 400. 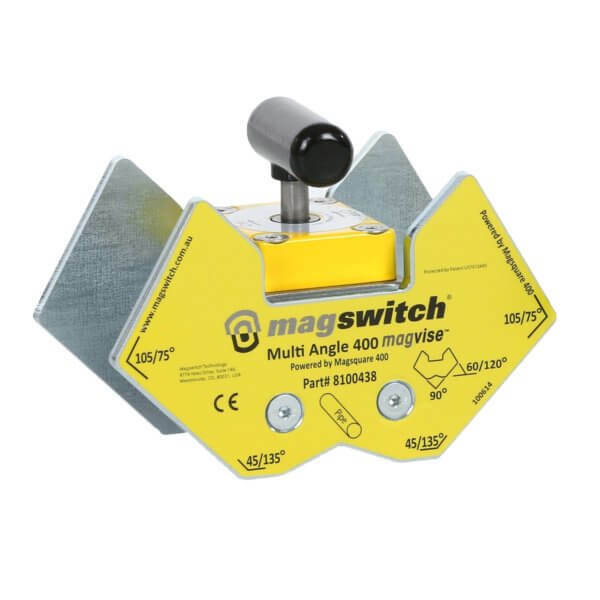 Strong hold –powered by a Magswitch MagSquare 400. 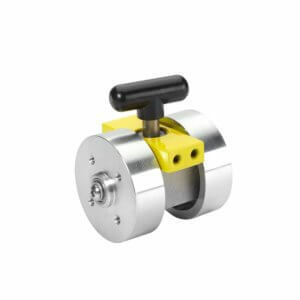 Accommodates flat and pipe. 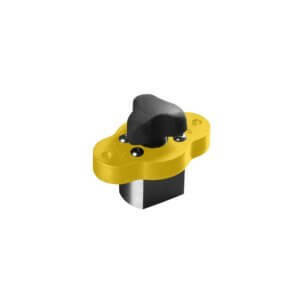 Pipe notch for attaching to Pipe. 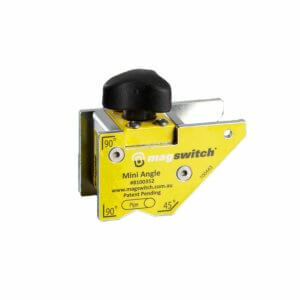 Holds common angles with superb strength and gets into the smallest places.